Hairballs are the unsavory product of a normal habit. As cats groom, they swallow loose hair due to the tiny projections on their tongues that propel the hair down their throats into the stomach. Hairballs consist of part of the hair protein which does not digest, keratin, in addition to food, and various gastric secretions such as bile. Most of the hairball passes through the digestive system and is excreted in the feces. Some of it remains in the stomach and accumulates into the damp clump your cat presents to you after retching. Hairballs are usually cigar shaped due to the shape of the esophagus where it develops or through which it passes to the outside world. Long haired cats will produce hairballs more frequently, especially at the time of year when they shed their coats. It can happen to any cat at any time, but it is believed that cats are more prone to shedding their coats as the amount of daylight increases with the Winter Solstice and Vernal Equinox (Winter and Spring). When the matted hair grows too large to pass through the narrow sphincters leading either from the esophagus to the stomach or from the stomach to the intestinal tract. When a hairball manages to pass into the small intestine and becomes tightly lodged there. When another condition or illness mimics a hairball and goes unnoticed. In the case of an intestinal blockage, emergency treatment and surgery may be required. 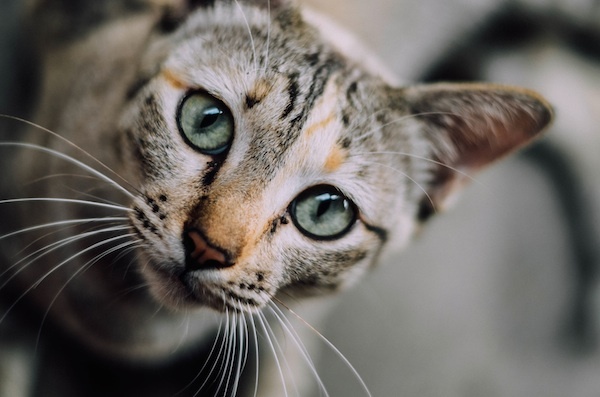 Sometimes a laxative for cats can help to move the hairball through the digestive tract, but never attempt to give your cat a laxative without consulting your veterinarian first. If you get a new kitten or cat, start regularly grooming and brushing him twice a week. If you start this process early, it will be easier than introducing your cat to a brush later in life. This will help reduce the shedding and ingestion of hair, causing fewer hairballs. If your cat acts lethargic, stops eating, or has repeated episodes of unproductive retching, coughing or true vomiting, please contact your veterinarian. These symptoms could indicate a much more serious condition or illness than a simple trichobezoar.